We are a high quality paint and wallcovering company that provides residential painting services throughout theDallas Ft worth Metroplex. If you're looking for a painter or paper hanger in this area who will provide you excellent service, you have come to the right place. We have provided this service throughout the Metroplex for more than 30 years. From an experience standponit we are on of the most qualified in the business in this area. We proudly provide a large range of services. From the smallest house painting job up to commercial & industrial projects, from the easiest job to the most complex. We understand how important your budget is to you and we work very hard to keep our prices affordable and our quality of service exceptional. All our staff are fully trained in the latest painting techniques and we prefer Sherwin Williams and Glidden as our paint products of choice. If you're looking for a painter or crew for your home project feel free to go to our price page and provide yourself with an estimate of prices for services you are in need for a quick pre-estimate and contact me with any questions or scheduling. 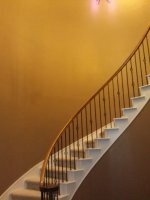 We offer complete interior and exterior painting services for both residential and commercial locations in DFW. We do it all from custom finishes for new homes , repaints, staining, texturing, wall repairs and prep. Treat your home to a makeover today. We offer many options that will have you falling in love with your home all over again. Transform your walls today. Call us 24/7 and let us asssit you today! "I've used West to paint both my houses. And, I've referred him to friends, too. They're a low-stress professional company that does beautiful work. They make you feel comfortable and they make the whole process easy."